".orgCommunity creates handcrafted connections and engaging events that to provide you with a peer-to-peer council and innovative and solutions focused educational events." Meet the 2018 Solutions Day Award Winners! Uniquely serving senior leadership to envision a successful future for their organizations and themselves. 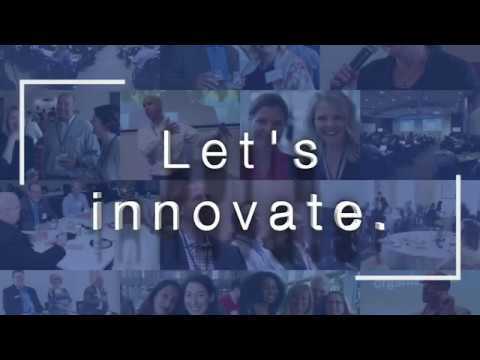 Connect with the best and brightest, share information, meet challenges and develop solutions. Exclusive access to proprietary research and Innovation Labs that keep your fingers on the industry’s pulse. Participate in discussions on the future of associations. Curated educational experiences designed to take professional development to a new level. See things through a different lens. .orgCommunity brings you relevant programming that offers unique perspectives and actionable solutions. Private online community where executives, entrepreneurs, and partners brainstorm and share opinions. Best practices and emerging solutions in operations, culture, strategy and innovation. We offer a comprehensive portfolio of professional resources ranging from toolkits and templates to help you with your job. Looking for a speaker or inhouse training? Meet our speakers. "I gained really valuable insights…and would never have had the chance if it wasn’t for [the innovation summit]." "The .orgCommunity leaders took the time to personally connect me to their network, knowledge, and solutions that I need to advance my organization. I’m impressed with the individualized attention I’ve been given." "At a time when membership and trade associations everywhere are facing funcamental change, it's refreshing to have .orgCommunity leading discussions that are relevant and focused. Association leaders have a lot of competition for our dues dollars and our attention. .orgCommunity is one of the few organizations that always commands my attention. In fact, it has quickly become one of my top professional resources." "The Leadership Workshop provided by the .orgCommunity team was excellent! The information presented provided the skills necessary for my leadership growth and how I could integrate those skills into my personal leadership plan. The networking and group discussions added even more value to the presentation. As a busy professional I appreciated this opportunity for personal growth and will attend more in the future." ".orgCommunity has become my go to network for interacting with colleagues and obtaining resources. It perpetuates the often times forgotten benefit of good old conversation with peers and sharing of information that helps us all do our jobs that much better." "Being a leader and understanding what that entails, is such a critical component to building a successful team. After attending [.orgCommunity's Leadership] sessions, I am more aware of how I define myself as a leader." "For-profit CEOs known the invaluable importance of CEO-focused organizations which foster small group networking, relationship-building, experience sharing and peer-to-peer learning. In my estimation, association CEOs have never really had access to anything like a YPO or an EO, until now with .orgCommunity. Sherry and Kevin are creating a powerful network of executive-to-executive learning, connection and relationship-building at a scale which puts executives front and center." "The association industry has connected me with exceptional people throughout the years. People I rely on for advice, resources and friendship. Being a member of .orgCommunity has been another way for me to network, hone my leadership skills and contribute. Thank you!" In 2040, Will Associations Still Exist?